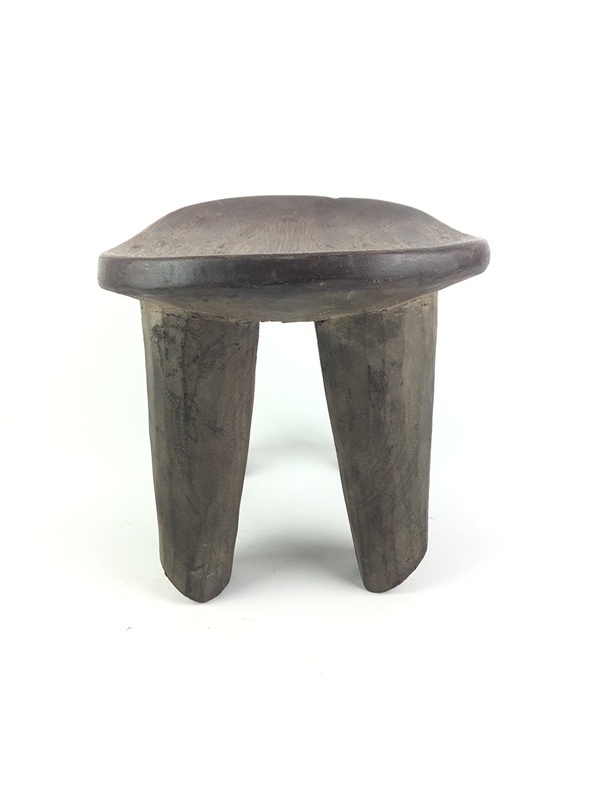 SENOUFO STOOL, INDIVIDUALLY HANDCARVED FROM THE KARITE WOOD( VITELLARIA PARADOXA) BOTANICAL NAME. 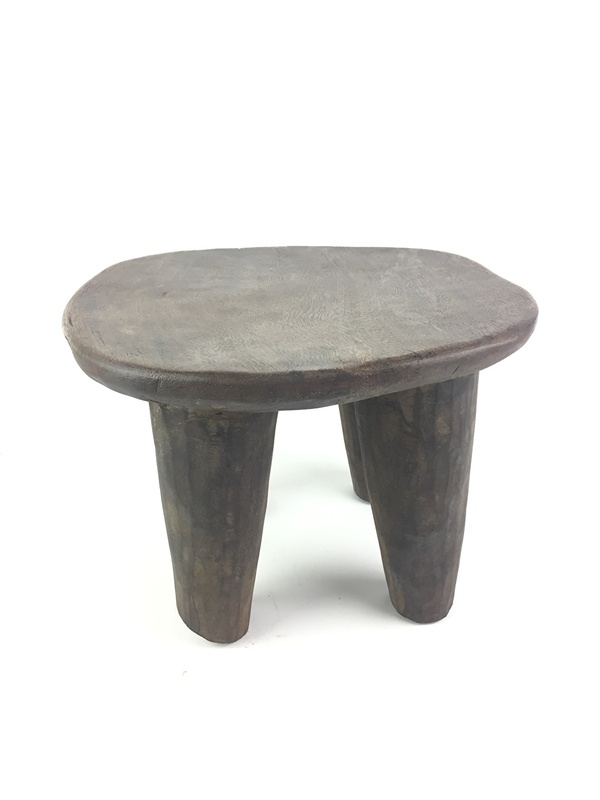 THIS WOOD IS LOCALLY FOUND IN WEST AFRICA, THE SEEDS ARE EADIBLE, AND THE OIL CAN BE USED FOR COOKING. 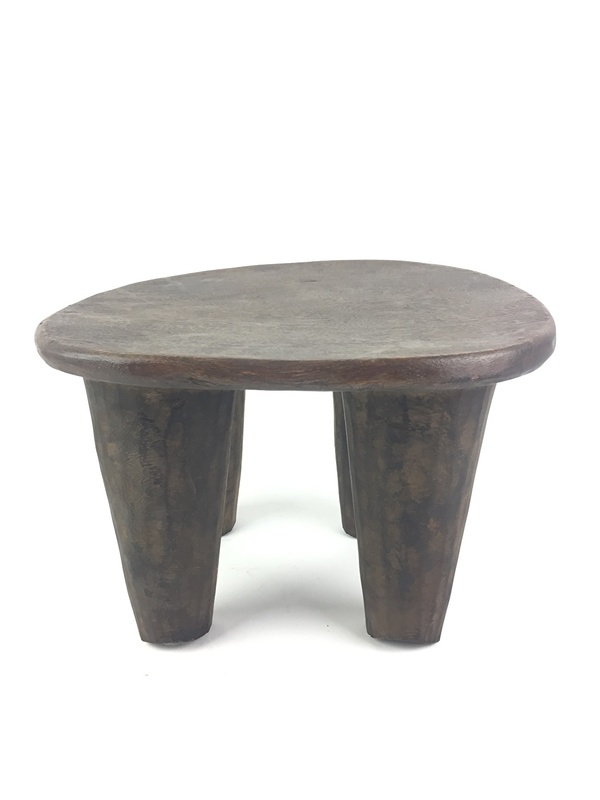 NOTE: THAT ALL STOOLS CAN BE DIFFERENT IN SHAPES, ITEM HAS FOUR STANDS, AND DARKBROWN IN COLOR OF WOOD.